On this picture (back row from left to right): Maret du Plessis (physiotherapist), Johannah Mogolowagae (caregiver), Ronel Marais (assistant teacher), Tersia Landsberg (SEESA communications officer), Magdarie van Staden (SEESA PR officer) and Paul Rothmann (SEESA Training National Manager). Front: Karen Vorster (Spitskop Special Needs School principal). THABAZIMBI – Every child deserves the best care. Spitskop Special Needs School recently received a generous donation from SEESA to assist them in educating and caring for children with special needs. SEESA visited Spitskop Special Needs School on Thursday, 15 May 2014 to donate the amount of R40 000.00 to buy equipment needed to provide children diagnosed with cerebral palsy with physiotherapy. The school provides education and ongoing care for children with pervasive developmental disorders, such as Autism, Down’s syndrome, epilepsy, brain damage, cerebral palsy, learning (intellectual) barriers and other problems that affect normal development. They also facilitate parent and community informative and educational sessions. The school aims to educate and equip the learners with valuable skills and the best possible education, and this is a cause close to SEESA’s heart. 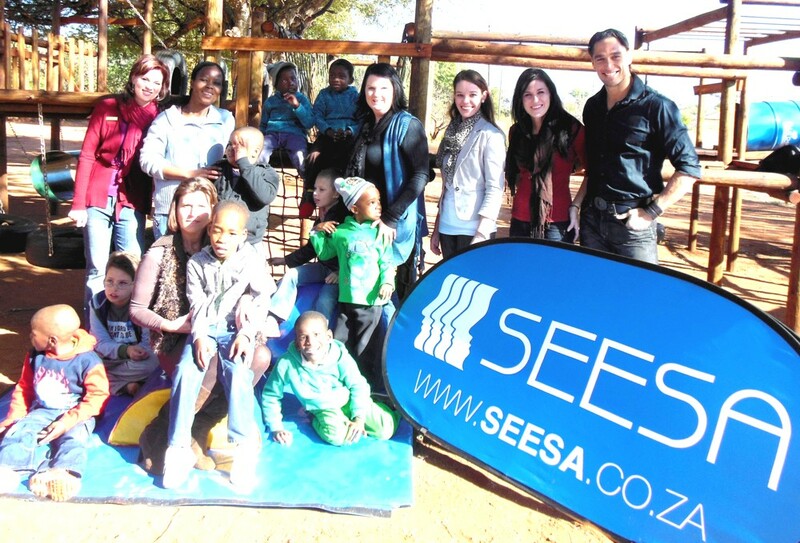 For more information about SEESA’s Social Economic Development projects, visit www.seesa.co.za.